As if we weren’t already excited about the release of the live-action Jungle Book, Kenzo have launched their limited edition The Jungle Book collection and it’s amazing. The fashion house has given our favourite characters a high fashion twist and we love them. The famous Tiger sweatshirt that blew us away back in 2013 now has Shere Khan doodled on the front and their signature floral prints have been given a jungle twist. There are forty pieces in total for both men and women. Carol Lim and Humberto Leon, the joint creative directors of Kenzo, delved into the archives and found some of the original sketches from the animated film. They also took a trip down memory lane and revisited their own brand’s heritage. 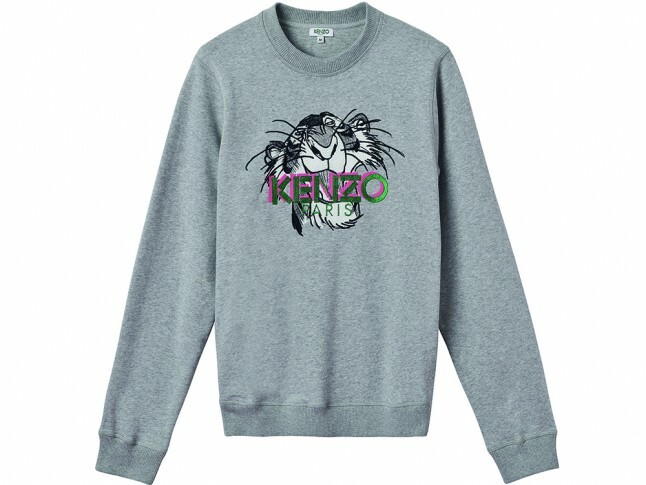 They told WWD “If you know about Kenzo’s history, you know that Kenzo Takada started a line called Jungle Jap, the tiger, all the references that he made led us to collaborate with Disney. We looked at the archival drawings of ‘The Jungle Book’ as well as the new imagery and our tiger. We did a beautiful print mixing all these elements together. We put it on the beautiful dresses, jackets, denim, jersey, sweatshirts – a bunch of different things.’ The collection is available to buy now. Urban Decay Are Back Down The Rabbit Hole!